This collection dances between elegance and whimsy. Inspired by natural textile structures, I have taken design cues from animal architecture— spiders, ants, birds, and other organisms that instinctively craft their own dwellings. The word ‘inhabit’ has its literal meaning, but it also evokes the idea of being fully present as a maker. In that way, there is word play between inhabiting a space and the habitual, small repetitive gestures (making a knot, counting threads. forming a loop etc.) involved with creating textiles by hand. 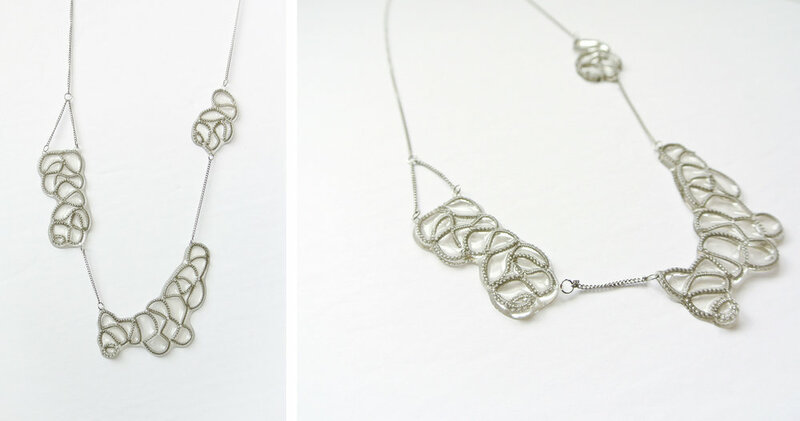 Lightweight statement pendants and earrings approach traditional macramé and tatting techniques with a modern design sense. 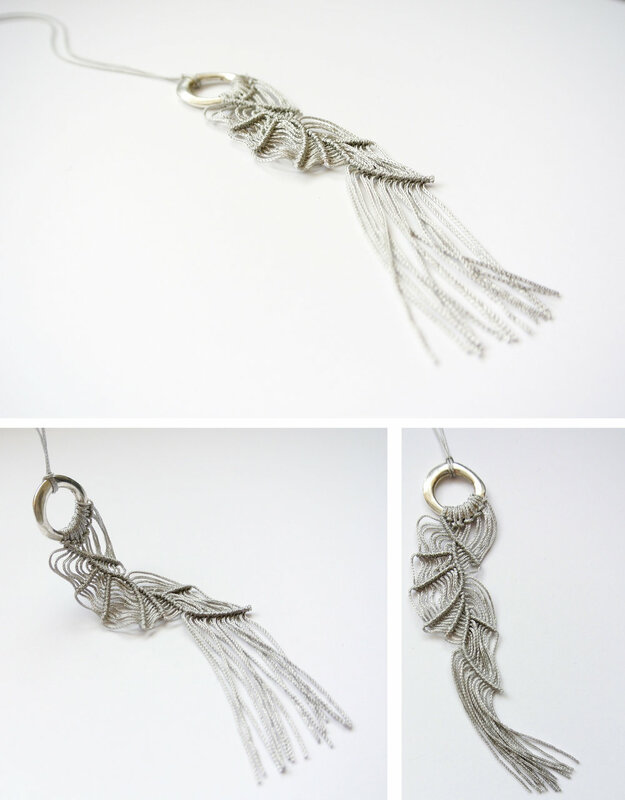 Each macramé piece is handmade with fine silk chainette cord and coupled with repurposed metal or stone elements. The tatted pieces are created with PVC coated filament, and some are then carefully hand coated with resin. 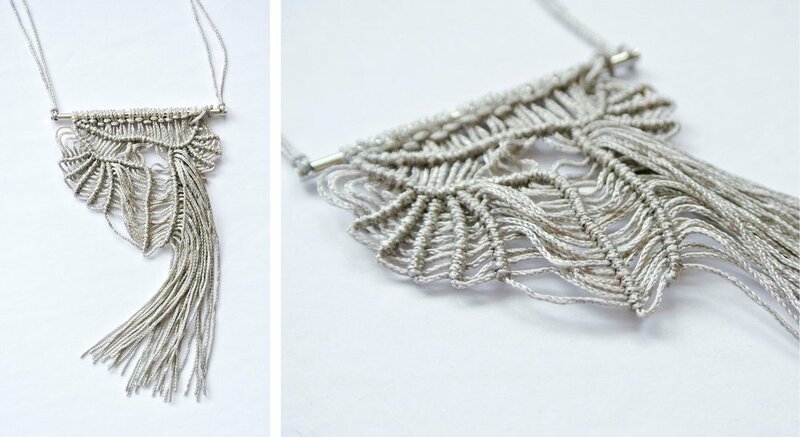 Borrowing their names from the roots of latin words for different types of spiders, moths, and other animal architects, they explore organic and fluid shapes inherent in intuitive macramé knotting and tatting.